APTA Connect gives users access to the APTA National Outcomes Database, which can be a useful resource for clinical research, as well as for benchmarking your practice. APTA Connect (by Cedaron Medical) is an integrated specialty rehabilitation documentation, reporting, and scheduling solution developed in partnership with the APTA (American Physical Therapy Association). Is APTA Connect the right software for you? APTA Connect seamlessly integrates with any HL7-compliant software as well as most billing solutions, making it especially popular amongst hospitals that use multiple secondary EMR systems throughout the departments. In addition, Connect allows you to add your information to the APTA National Outcomes Database, which was developed by the APTA in order to help therapists understand the effectiveness of different treatments. Users find Connect to be highly customizable, making it an attractive option for hospitals dealing with a large number of specialty therapy / niche areas. Strong documentation, reporting, and scheduling capabilities. Highly customizable -- you can create custom forms and questionnaires, which will automatically be populated into the patient’s report. Integrates with many popular billing solutions, so you can stick with your existing billing partner while using APTA Connect. Software ensures that you only bill for care that is in your Plan of Care, which decreases Medicare denials and increases profitability. Pricing has historically been most suitable for hospitals, but the company is also looking to expand to private practices. Does not handle billing, but integrates with most popular billing solutions. Founded in 1990, Cedaron has long been a popular rehabilitation EMR solution for hospitals. APTA Connect was developed by Cedaron in partnership with APTA. By working closely with the APTA, Cedaron ensures that the software always stays on top of regulatory changes; this is one reason why APTA Connect’s documentation capabilities are so strong. Their partnership also provides a unique advantage by giving users the option to participate in the APTA National Outcomes Database. This can be a useful dataset for conducting clinical research, and for benchmarking practices against others in the database. Below, we discuss the key features of APTA Connect, and how they can benefit your practice. Connect’s patient documentation solution allows therapists to quickly write accurate, defensible documentation. The documentation platform helps therapists remain compliant by generating alerts when required documents are missing, and when a G-code or ICD-10 code is missing. The patient dashboard organizes all of the patient’s relevant information and documents in one central location. It’s also straightforward to upload additional documents or images to the patient’s report. The documentation platform includes several predefined goal kits and treatment kits for a variety of pathologies, which aligns with the industry’s best practices for different pathologies, and eliminates redundant data-entry. These kits can also be customized, which can save you a lot of time if you see many patients that require the same treatment plan. If you are frequently administering a certain treatment, APTA Connect also allows you to generate a list of “favorite codes” so that you can quickly find the desired code. A key feature of APTA Connect’s documentation solution is that it’s fully customizable; each therapist can customize the workflow to best suit his or her needs. For example, you can add your own questions or comments to forms, or design questionnaires and other custom documents that you’d like your patients to fill out. 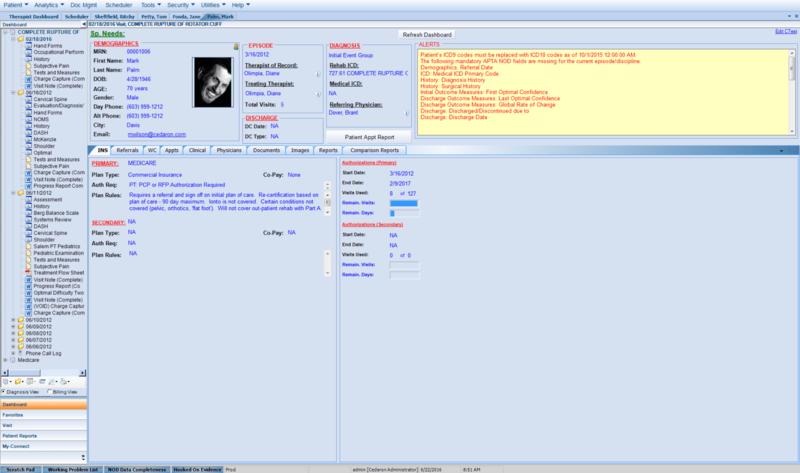 These custom forms will automatically be loaded into the patient’s electronic chart. 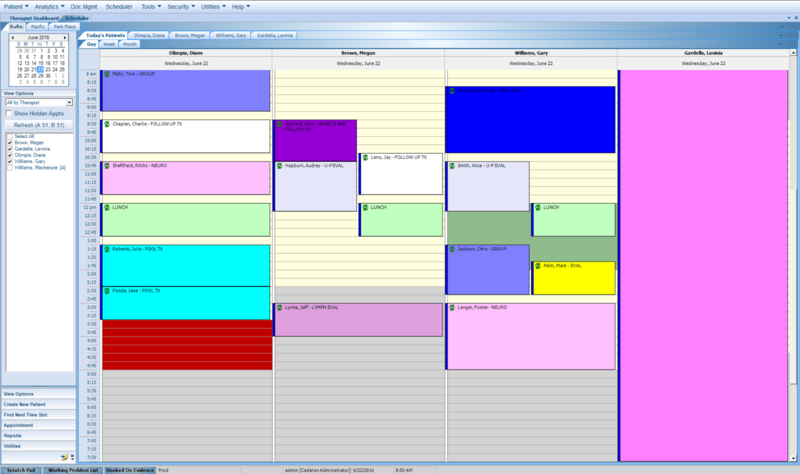 As with other scheduling platforms, APTA Connect offers an intuitive scheduling module that allows you to color-code appointments by therapists/specialties. You can also schedule recurring appointments, create automated appointment reminders, and create waiting lists to increase utilization. 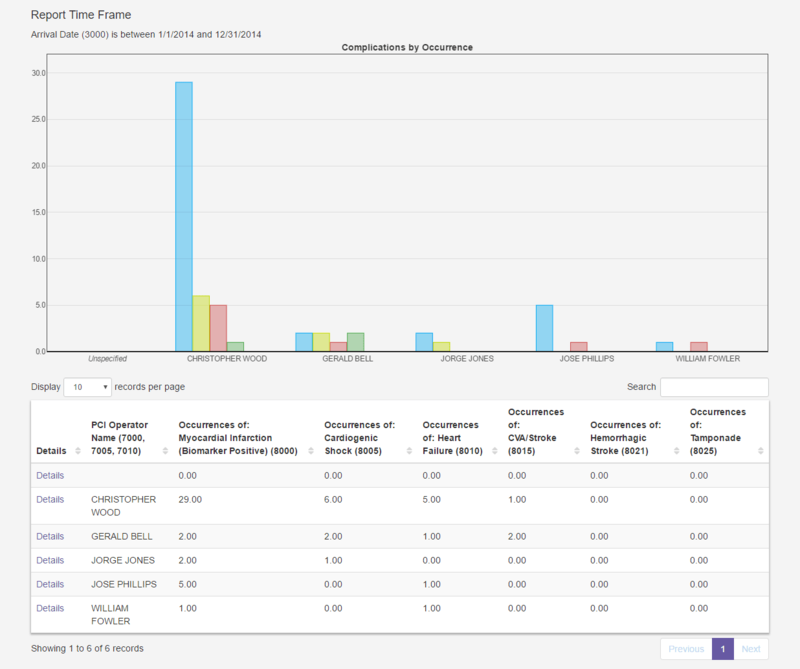 APTA Connect offers a variety of standard reports that enable you to easily analyze your data. You can track patient progress, identify trends in your practice, analyze referral sources, and monitor resource utilization. In addition, Connect offers a lot of flexibility for custom reports; you can create your own administrative reports onsite to meet your needs, and save them. A nice feature of APTA Connect is that it allows you to participate in the APTA National Outcomes Database. If you elect to participate in the APTA Database Program, you will be able to access uploaded data from other participants, and you’ll be able to contribute to the dataset as well. This will allow you to easily compare the performance of your clinic against other clinics in the database, which serves as a meaningful benchmark for comparison. Those looking to conduct clinical research may especially be interested in accessing this unique dataset. Cento Analytics is a web-based analytics engine that can be used to query the National Outcomes Database as well as your own data. This is a feature that will be released in 2017, but it will be a powerful tool to create custom dashboards and reports using real-time data. Cento is designed to make it easy to answer anything that can be answered in a simple query, like “how many patients do I see for this specific treatment, and what’s the average number of visits required?”, and makes it easy to analyze therapist productivity. APTA Connect is integrated with several popular billing platforms, which gives you the flexibility to choose from a variety of billing partners. This is particularly useful for hospitals, which are Connect’s main clients, since Connect is likely integrated with various billing solutions across several departments of each hospital. This allows for all of the hospital’s billing to be handled with one solution, as opposed to using a therapy-specific solution just for rehab. Connect is a top rehab EMR solution with strong documentation, scheduling, and reporting capabilities developed specifically for the therapy industry. The fact that the product is highly customizable and integrates with any HL7-compliant billing partner makes APTA Connect ideal for hospitals. The option to participate in the APTA National Outcomes Database is a nice plus that is relevant for hospitals, since the rich dataset can give you a meaningful benchmark for your practice, and can also help you with clinical research. Though Connect is a worthy option to consider for private practices, the majority of Connect’s clients are hospitals. If you are a hospital looking to optimize your practice by decreasing denials and increasing profitability while spending less time on documentation, APTA Connect is a top option to consider.